The decision to buy a horse is one that shouldn’t be taken lightly, and it can be a long winded and an exhausting process. These are seven stages I find myself going through when buying a horse to make sure I find the right one. At this stage I’m excited and overly optimistic, conjuring up unrealistic images of finding the perfect horse that’ll some how make my very poor riding look like an Olympic gold medalist! So, I create a list of what I want and what I can afford to ground myself somewhat to stop me buying the first pretty horse I come across. Do I have the time/ the money for a horse? 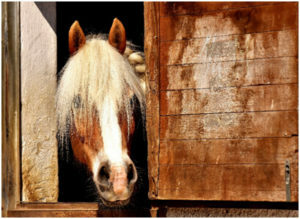 Have I got the space/ facilities for a horse? If I can provide good answers for all these questions and feel it’s right, then I proceed to the next stage. I’d also like to add I try to not look at any classified adverts at these stages otherwise it all goes out the window and I’m buying the cutest Shetland I come across! In the second stage I move onto what I want from the horse and consider how much time and money I’m willing to put into the potential horse. When referring to time I’m considering the training time I want to put aside for the horse. This often then decides whether I’m looking for something along the lines of a very experienced horse or a young horse that needs a lot more training in the long run. What type of horse do I want? How much training do I want to do with it? How much money am I willing to spend for what I want? I must be very honest with myself here as it can be easy to think that I can handle more than what I can, or have more time than I do, or even expect to get more than what I can afford. Doing research helps and making sure I know exactly what I want. Half way through the process and only do I now allow myself to start looking through the classifieds. I continue to make a list throughout the process. How far am I willing to travel to see a horse? Do I feel comfortable seeing a horse on my own? Or do I want someone with more experience to come with me? At this stage I’ve trawled through endless classified adverts and very often finding fault with all of them and the excitement of buying a horse is wearing thin. However, I will have found a list of horses I feel are somewhat suitable (or just very pretty!). To shorten the list, I then refer back to stage two to rule out those horses that don’t tick all the boxes I’ve set out. Are there any areas I’m willing to compromise on? Do I think it fits the asking price? Once I’ve got my short list I’ll go and see what horses are available still. Fingers crossed one of them lives up to my expectations! After several journeys to see many horses and looked at them from every possible angle one catches my eye and fits the criteria I’ve set out, I think I’ve found “the one”! 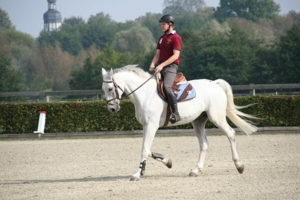 But now I’m curious about and so I become my own private investigator and do some research on the horse’s background. 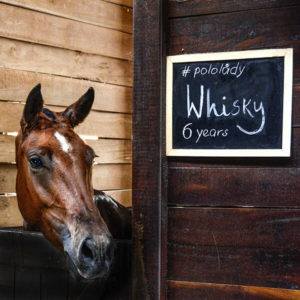 Are there any social media photos or videos of the horse? If I feel all is well after this stage I will got ahead with the purchase of the horse… it’s getting very exciting again!! At this stage things get a little tense as I’ve already started planning all the things I’m going to do with this fabulous new horse and it’s yet to pass a vetting. So, I must remind myself, frequently, not to get too excited and be prepared for disappointment. All being well I then have to plan to get the newbie home and making sure it’s comfortable when it get here. Do I need to get a vetting? If so what stage of vetting do I want? Do I need to organise transport or can they delivery the horse? I have a new horse at this stage! Yay! At this stage I like to give the horse a service, despite passing the vetting I always like make sure everything is comfortable for the horse. 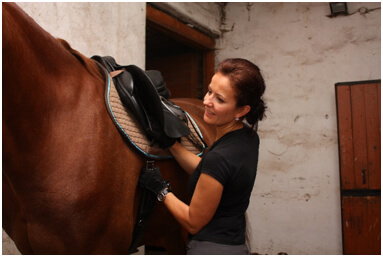 Also getting someone such as an equine chiropractor or/ and equine physiotherapy to make sure their movements are okay and they’re physically comfortable. After this journey I get to enjoy my new horse and all the adventures I plan to go on with it!